Sewers are generally the silent wonders of the plumbing world. They quietly take the waste out of the home and deposit it into the common sewer system. However, when the sewer is not working, it becomes one of the most noticeable problems in the house — you will need plumbers at your home to perform a sewer cleaning or replacement of your sewer line immediately! 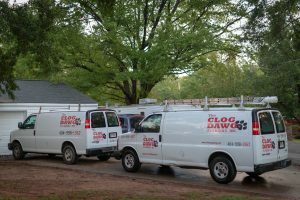 At The Clog Dawg, we are the leaders in sewer line replacement in the Atlanta area. 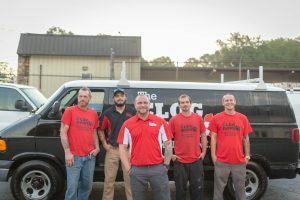 The Clog Dawg has the best drain cleaners and sewer experts to ensure quality and top-notch service when handling all your sewer replacements in the Atlanta area. The Clog Dawg offers sewer line replacements throughout the Atlanta area. If your sewer drain or main drain clogs, it will flood your home’s basement with sewage and cause very expensive damages. For all sewer repairs, request service here or call us at 404-998-1967. The Clog Dawg drain plumbers will perform a sewer inspection using a sewer camera to show you the cause of your sewer backup. The camera will show whether your sewer line is either blocked by an object or tree roots or if there’s something structurally wrong with the line. If your sewer drain or main drain is bellied, collapsed, deformed, deteriorated, or beyond its lifespan, then the pipe needs to be replaced. Sewer main drain failure is very serious—sewage will enter your home through your basement or floor drains! 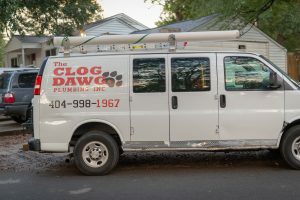 If you desire a worry-free solution to your sewer issue, an Atlanta sewer pipe replacement with The Clog Dawg can ensure that your home never floods with sewage again. 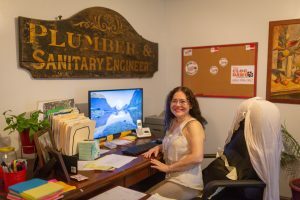 Need to discuss a sewer replacement?